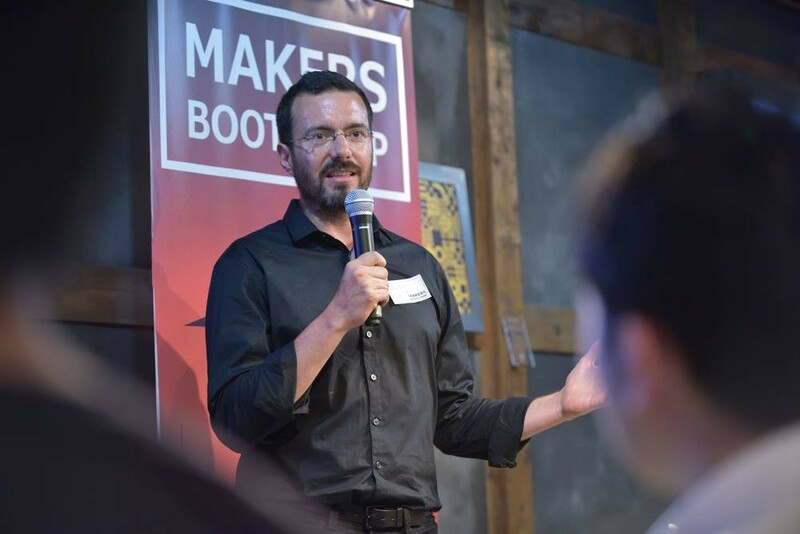 Blog Kickstarter + FabFoundry visit Makers Boot Camp: what’s Kyoto ecosystem like? Last Monday, 08/01, we had the honour to host two special guests: Julio Terra, Director of Technology Design at Kicktstarter, a benefit corporation based in Brooklyn (NYC) with a global crowdfunding platform focused on bringing creative projects to life, and Nob Seki, FabFoundry CEO & CO-Founder, serial entrepreneur with past career in Tokyo and San Francisco. 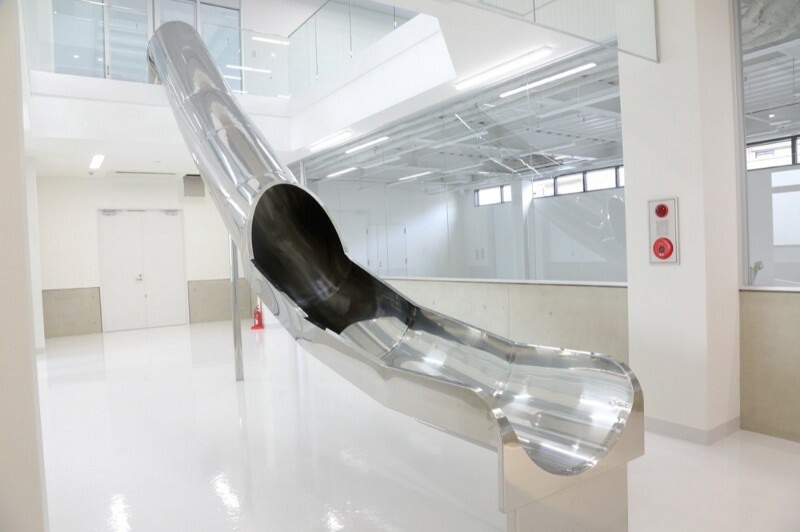 Founded in 2015 in New York, FabFoundry is the first community for hardware startups and creative makers that connects to hardware professionals and manufacturing experts in Japan that excel at manufacture high-quality products. 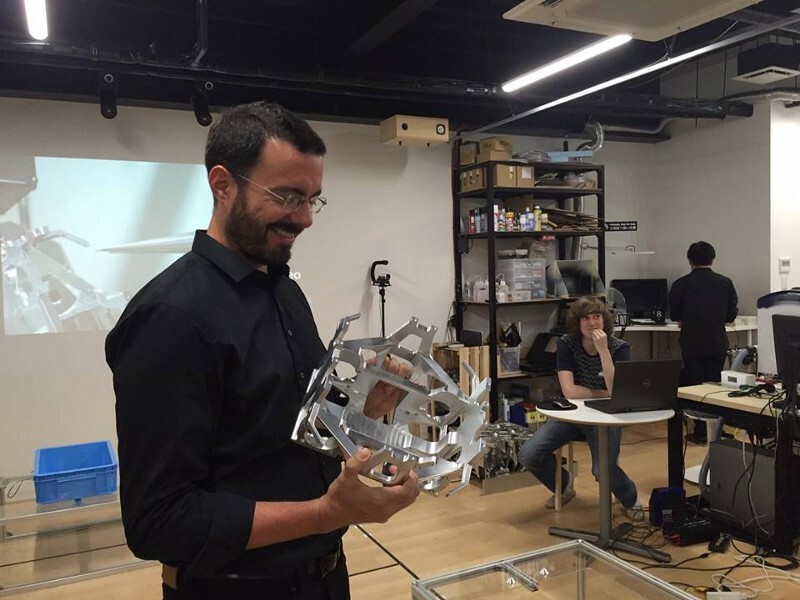 The purpose of Julio’s trip to Japan is to connect with creators and superbackers, and to learn about the ecosystem that supports the local design and tech communities, as Kickstarter hasn’t launched a Japanese version yet. He came here to understand how creators from Japan raise funds and build community in support of their projects- Julio had heard about some interesting things going on in Kyoto. I had the chance to meet Heather Corcoran, Design & Technology Outreach (UK & Europe), after my interview and panel discussion at Connected Conference, in Paris (May, 2016). 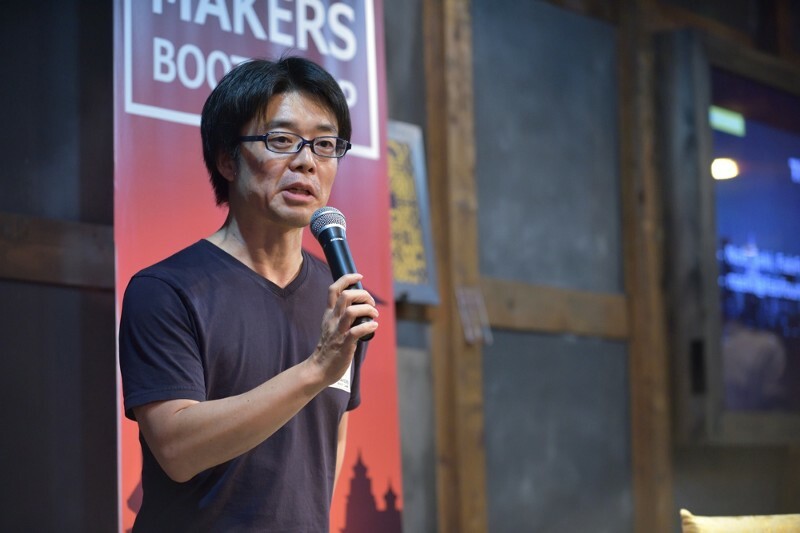 Nob joined us to launch the first Monozukuri Boot Camp program for hardware startups, co-hosted with Makers Boot Camp, and came to Kyoto to join our community. I was thrilled not only to have a chance to show our facilites to such pioneer and authentic players in the world, but also by the fact that both Julio and Nob had the chance to meet for the first time in Kyoto, during our tour. 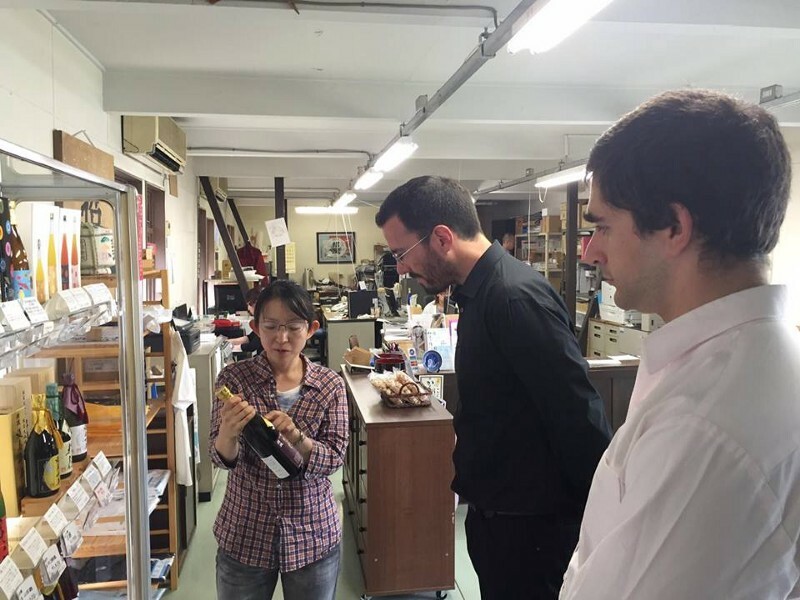 We met our team to start our daily tour, a 12h activity scheduled with a mission: showing both of them a small sample of Kyoto ecosystem as a hub for makers, with a range of possibilities for entrepreneurs. Our group also had our CEO Makino, Mik Kimura (Partner), Mari (Community Manager) and Julio’s interpreter Benjamin Boas (if you’re in Japan and need professional support, we highly recommend Ben’s services). The day was a great opportunity to understand how Kyoto capabilities are in terms of supporting hardware startups, as both Kickstarter and FabFoundry have its HQ based in NYC, #1 financial hub of the world and also known as a trendsetter spot. 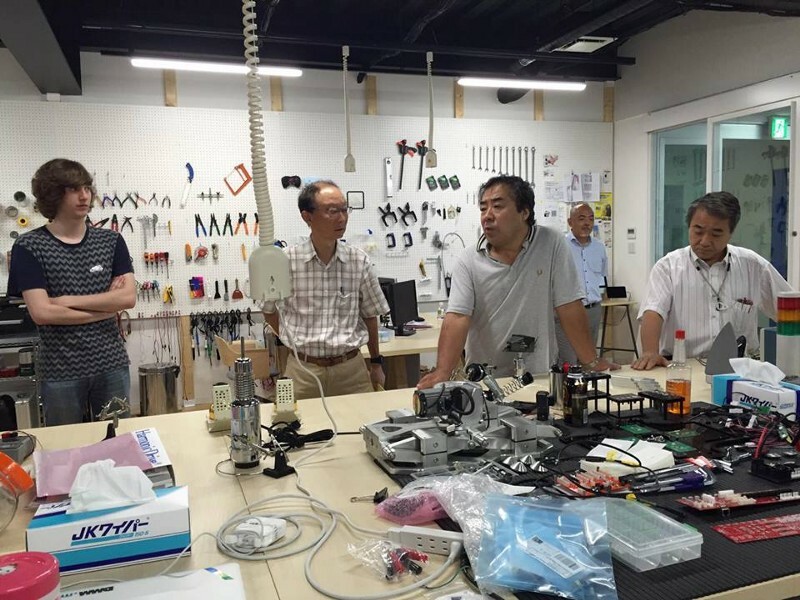 Shoji Yamamoto (Senior Managing Director) and Masanori Yamamoto (Vice-President), from the left to the right, introduced Hilltop Foo’s Lab within their facilities. 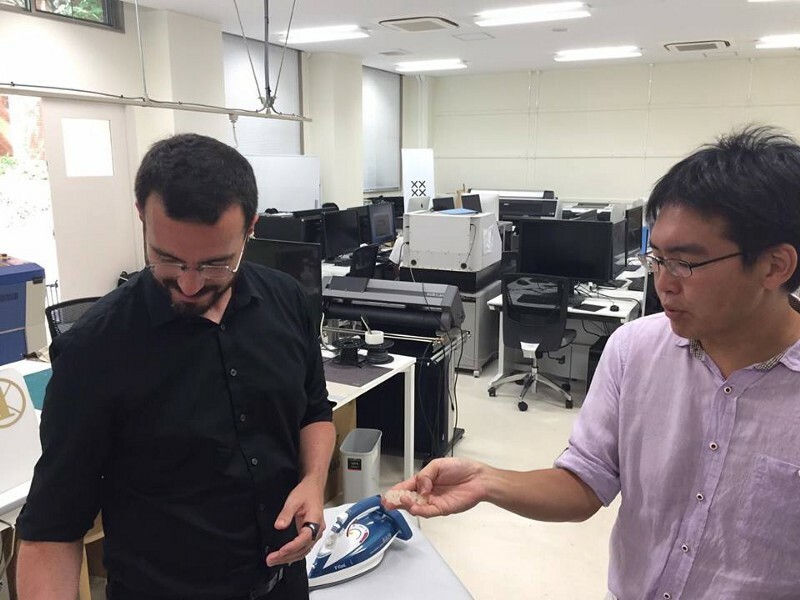 We started the tour visiting two of our Kyoto Shisaku Net manufacturers, who have been working for large companies in Japan and started expanding their IoT projects, supporting startups together with Makers Boot Camp. The first destination was HILLTOP, a manufacturer specialised in rapid prototypes, customized CNC (Computer Numerical Control) machinery, short run productions, and quick turnaround products: a hardware factory where robots have already been executing most of the main routine work. There were only four people running the factory’s floor, as most of the work is automated. A customized system allows Hilltop team to simulate all the work in a 3D program, running the simulator before the production starts, and also following up on what’s been built, detecting issues and being able to fix it more efficiently. 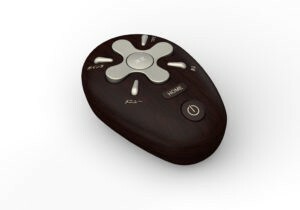 With a team in California, the production runs 24/7, controlled remotely by their system, no matter the timezone. This flexibility guarantees more efficiency and productivity, as any possible bug can be fixed promptly. 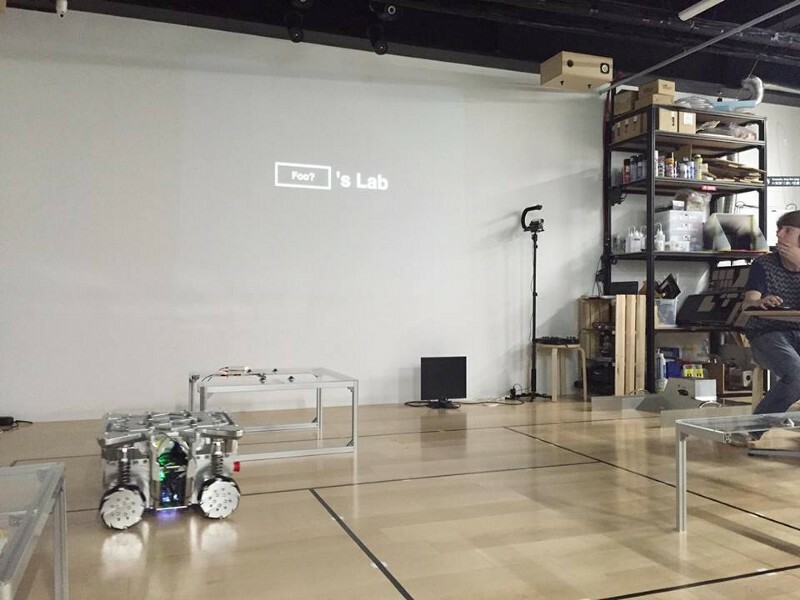 Hilltop [Foo’s] Lab Team: a place where Japanese engineers can join other makers. Our second stop was crossEffect, a product design expert known for its high quality devices. crossEffect slide at the main entrance was suggested by one of Design Team Members. We had lunch at crossEffect together with some of Makers Boot Camp mentors, and were thrilled to hear it was the 15th anniversary of this extremely competent company — President Masa Takeda, who happens to be one of our co-founders. 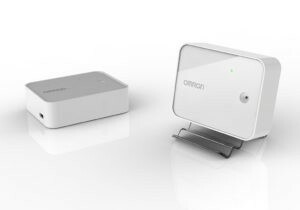 KSN Manufacturers, lead by crossEffects design team, are the ones behind many hardware products in Japan, as shown on the photos: NTT, Rohm and Omron, respectively. 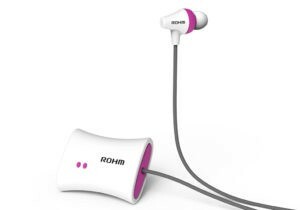 It’s interesting to see manufactures with a stablished business looking for alternative ways to innovate and create different products. Kyoto’s current entrepreneurship trend is somehow a direct result of craftsman traditions, with associations connected to each other, and specialised in one specific product/part of the process. That’s exactly the case of Kyoto Shisaku Net, a network of 100 companies who is our main partner to support startups. After that, the group split and there was a break to visit Mik’s sake brewery Shoutoku, a family traditional business thru generations of Kimura’s, where his daughter Hisato Kimura explained some unique points about the water from Fushimi area, where the factory is located. 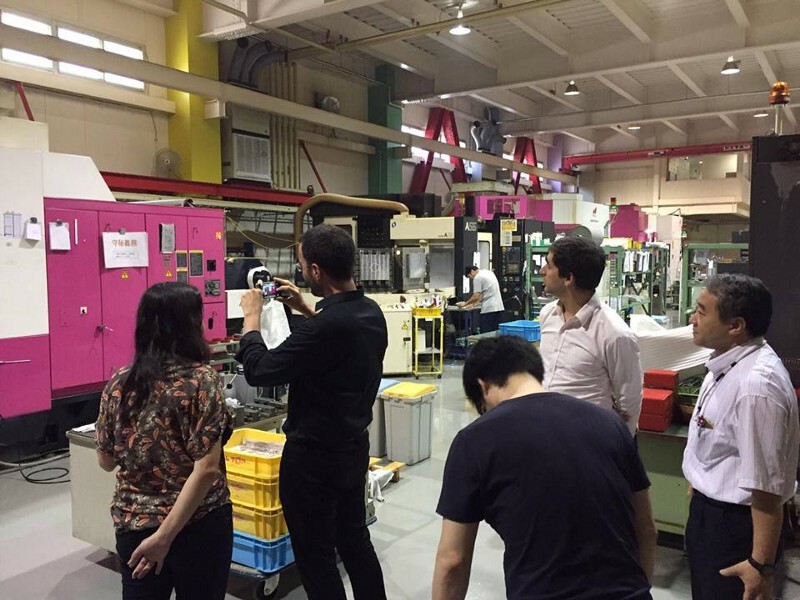 From there, the group went to Kyoto Institute of Technology to check Kyoto Design Lab, where innovation takes place by design, collaborating with different international institutions and companies to find new ways to solve daily problems. Kyoto Design Lab is a place for social change through design innovation, connecting with innovators from around the world and developing new projects and programs to create a community and culture of innovation. Sushi, as a Design Thinking educator, has been helping people who want to bring forth new value into the world. He’s one of our Advisors and have been supporting entrepreneurship in many ways in Kyoto. The last stop in our day-trip was at MTRL Kyoto, where our Monozukuri Hub Meet Up took place. Before getting prepared to his speech, Julio had the chance to meet Kyohi Kang, Atmoph‘s CEO & Co-Founder, who spoke about his well succeed campaign on Kickstarter, and the main challenges hardware entrepreneurs find to start a crowdfunding campaign in Japan. Overall, it was a very busy and hot day, but being around with so many interesting entrepreneurs was a great way to feel inspired to continue promoting Kyoto as a hotbed for hardware, and finding new ways to support our community.